A supposed box shot shows some key features of the upcoming smartphone including Edge Sense, Gorilla Glass 5, and IP57 certification. 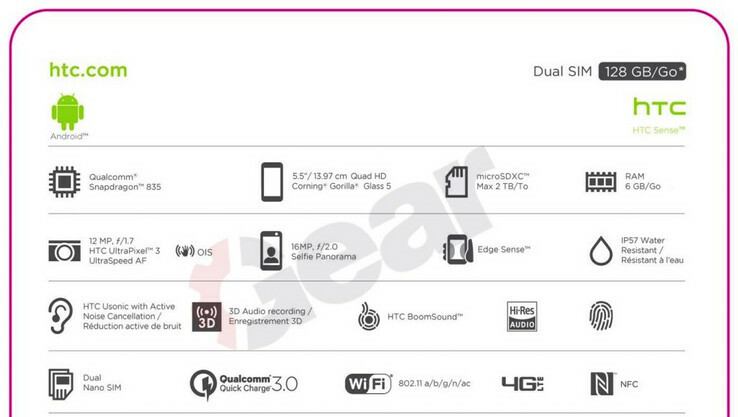 Interestingly, the smartphone may only support Quick Charge 3.0 instead of 4.0 if the source proves to be true. HTC is expected to officially introduce the HTC U 11 smartphone on May 16th. Nonetheless, numerous leaks and images through benchmark databases like Geekbench and AnTuTu have already revealed some technical information about the upcoming HTC flagship. The latest revalation is a snapshot of the supposed retail box of the U 11 showing core details of the device. A small detail in the leak, however, has us questioning the authenticity of the image. In particular, the Snapdragon 835 SoC can support Quick Charge 4.0, but the U 11 specifications show Quick Charge 3.0 instead. 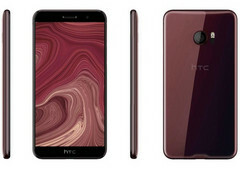 Unless if HTC has opted not to support Quick Charge 4.0 for cost-saving measures or other reasons, then this small detail may be a red flag about the leak itself. Otherwise, the rest of the specifications appear to be as expected including the IP57 water-resistant case, fingerprint sensor, and BoomSound audio with 3D audio recording and active noise cancellation. Note that IP57 is less stringent than IP68, so models like the Galaxy S8 should still be better equipped at preventing water damage. Edge Sense is also mentioned which is expected to be a special feature that can take inputs from the palm of the user's hand.